Hewlett-Packard is said to be rethinking its plan to spin off their personal computer business after new analysis indicated the cost of such operation might outweigh the benefits. According to a report in The Wall Street Journal, citing people familiar with the matter, newly appointed chief executive Meg Whitman is going over the numbers and hopes to make a decision by the end of the month. Apparently the main reason for HP to keep its PC unit is related to the supply chain. The company has reportedly been under pressure from manufacturing partners to maintain its personal computer business, as separating the division could weaken its buying power with component makers due to lost economies of scales. This lack of purchasing power would hurt margins on HP's other businesses, like its servers division, which are delivering solid sales for the company. 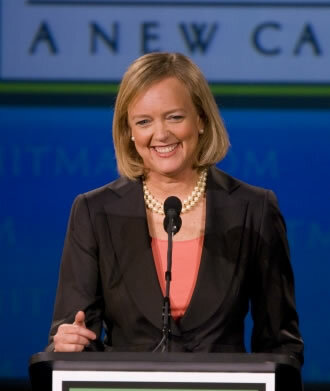 Meg Whitman took over the reins of HP following the ouster of Leo Apotheker in August. The former SAP CEO originally came up with the plan to spin off HP's consumer PC business and shutter its webOS device development, though many have argued he was predisposed to ditching the unit because his background revolved around software. Whatever they decide going forward it's important for HP to make up its mind as soon as possible. The longer it takes to decide the fate of its PC business, the more opportunity it hands to rivals to talk up fear, uncertainty and doubt to both consumers and business partners.